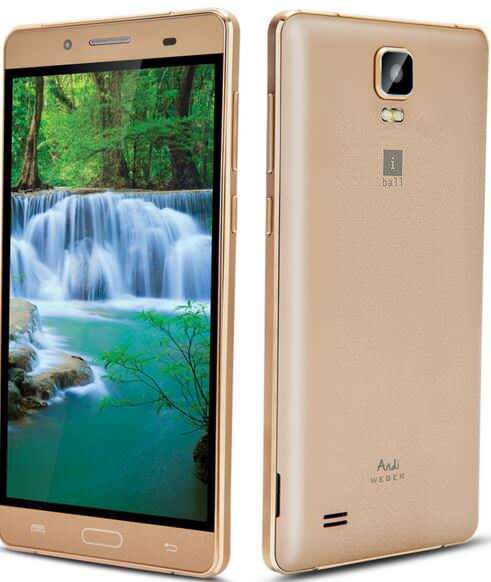 iBall has silently added a new entry-level smartphone to its portfolio called the Andi 5.5H Weber. The phone is available to buy from major brick-and-mortar stores across the country, as per Mahesh Telecom. The device runs Android 5.1 Lollipop, and comes with support for 21 Indian regional languages. The iBall Andi 5.5H Weber sports a 5.5-inch HD IPS display, and is powered by a 1.3GHz quad-core processor of unknown make, coupled with 1GB of RAM. It offers 8GB storage, further expandable up to 32GB via a microSD card. The phone sports a 5-megapixel rear camera that captures interpolated 8MP images, mated to an LED flash, along with a 2-megapixel front snapper. In terms of connectivity, it offers dual-SIM slots, 3G, Wi-Fi, Bluetooth and GPS. A 2,200mAh battery keeps the handset running. According to the retailer, the iBall Andi 5.5H Weber has been priced at Rs 7,499, but is available in the stores with a discounted price tag of Rs 6,299. The phone comes in white and golden variants.